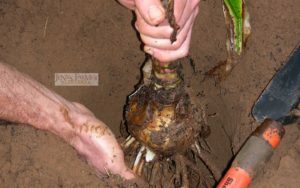 To see a video on how to plant a crinum bulb, scroll to the bottom of the page. When your bulb arrives from us, you’ll see a distinct line on the ‘neck’ of the bulb. That line is the transition point from white to green. That transition line makes ground level of where the bulb was growing. Measure from the neckline down, then dig a hole about six inches deeper. Fill that six inches back in with dirt. Place your bulb in the hole and cover it up. It’s that easy. Put the bulb in the hole. Backfill under it, settling the roots in. Fill in around the bulb. For more information, look at the individual product description on the bulb you bought, found on this website. 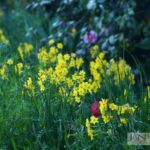 Each of our bulb pages, found in the online shop portion of this website, has great ideas of how and where to plant. 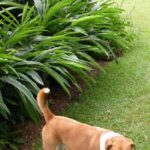 Getting a crinum to grow is easy, but getting it in the right location – from a landscape designing standpoint – is not. 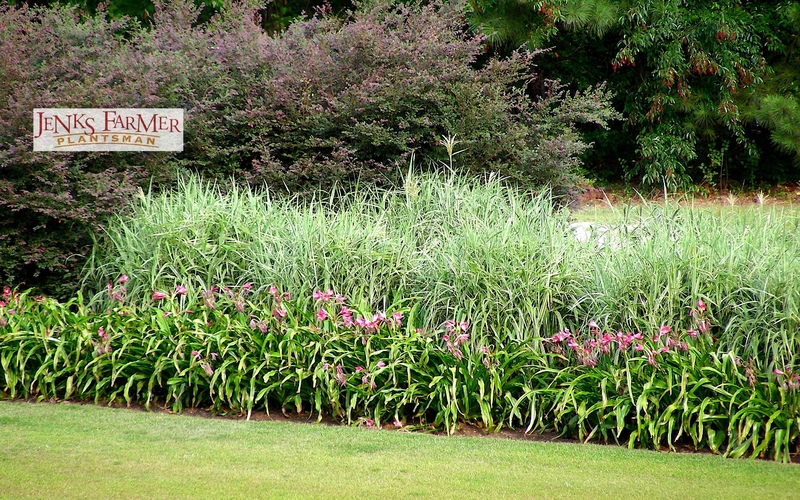 I’m saddened every time I drive by the Columbia Museum of Art, where a landscape architect put our crinum in deep shade. They’re suffering. In great garden designs, the needs of each plant are considered. 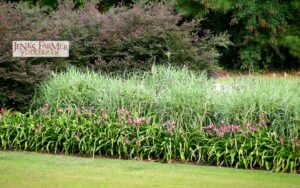 For more information on how to integrate crinum lilies into your garden, landscape, erosion control project, or green roof, just ask! 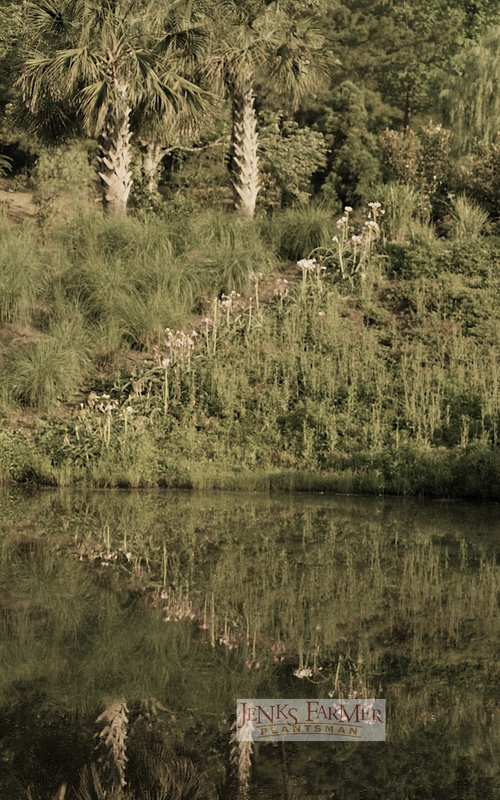 I’m pretty confident in saying that I’ve used crinum lilies in more landscapes than almost anyone else in the country. 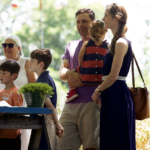 I want your bulbs to thrive, and I am happy to help you plant them in the right setting. 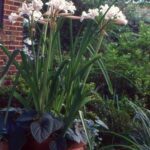 Our booklets, Gardening with Crinum Lilies offer tons of insight on how to successfully use crinums. 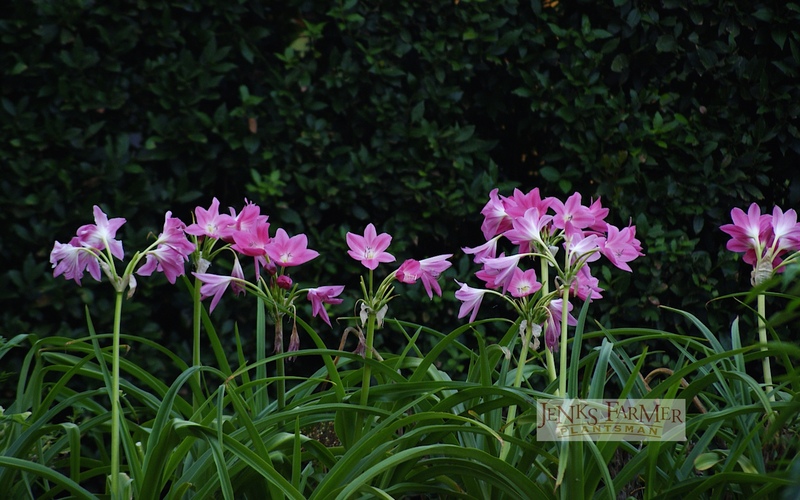 We are all about crinum lilies at Jenks Farmer, Plantsman. They’re beautiful, they’ve got great history, and they’re easy to grow. They’re the perfect plant for just about any garden. 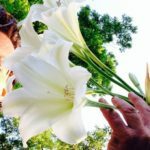 If you’re new to the world of crinum lilies, here’s a little useful information to help get you started. 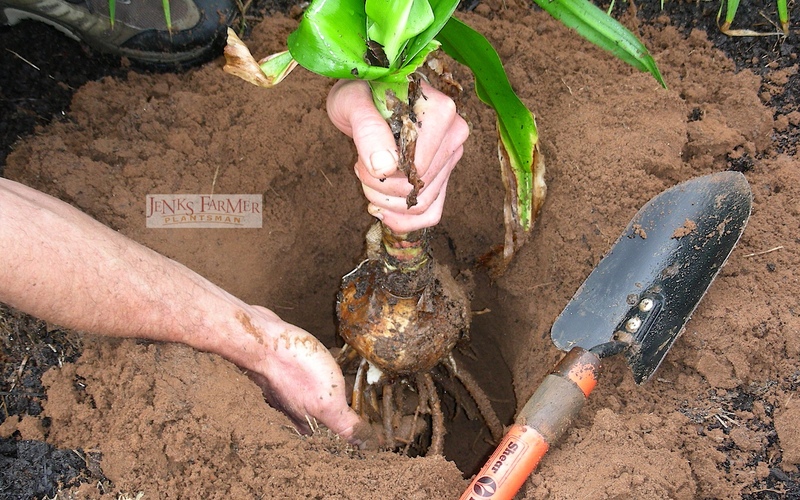 Crinum lilies make underground bulbs that intertwine into clumps. 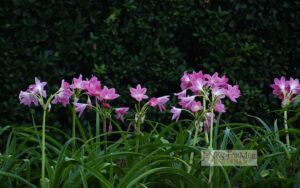 These bulb clumps can range from only a few pounds to hundreds of pounds. 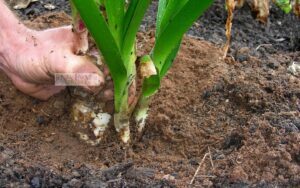 Of course, there are some crinums that don’t make real bulbs at all but grow more like a banana, making a “trunk” of leaves. 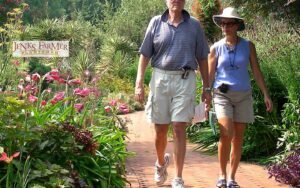 Crinums grow in many climate zones, from the northeast into the midwest and northwest. In the south, they’re common in nature and are often seen in old-home sites and ditches. These gorgeous lilies occur naturally all over the world. There are dozens of American, African, and Asian species. 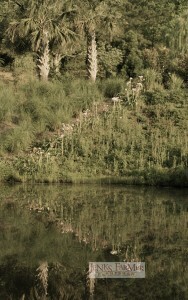 Some crinums grow in deserts while others grow completely underwater. 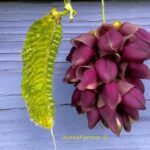 Most garden crinums are of American and African descent.. 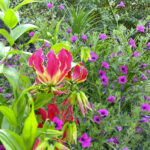 Most of these plants thrive in regular garden soil and sun. 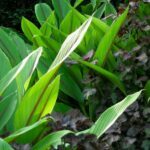 However, we offer crinums for bogs, for green roofs, and all levels of shade or sun. It may take a few years for crinums to really settle in and look spectacular. 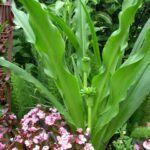 Because of that fact, we offer a great tip to keep in mind when designing or planting with crinums: Think of them as a shrub in size, habit, and amount of time needed to mature. 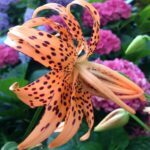 Remember you can always contact us with any questions you have about crinum lilies you currently own or are considering to add to your garden or yard.